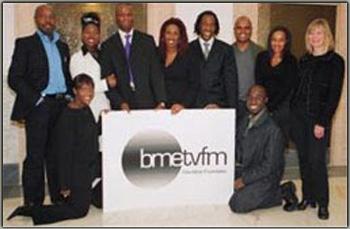 BME TV Net is owned by the Black and Minority Ethnic Television, Film & Media (BMETVFM) Charitable Foundation and its partners. BME TVFM was officially registered with the Charities Commission (Charity Registration No: 1099419) in September 2003. This is a Foundation with strategic aims. We are proud to have delivered a series of foundation and learning opportunities that have a clear path towards employment in the creative industries. We have been campaigning on issues that affect the ability of our diverse communities to achieve a fairer deal in broadcasting. This has ranged from working with OFCOM over broadcasting issues to challenging the BBC over its plans to reduce dedicated minority broadcasting output. We are here to support Black and minority ethnic persons who wish to access or develop a career in the creative industries. 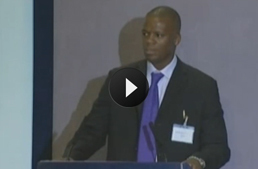 We are also proud to have introduced community led Internet Broadcasting two years BEFORE You Tube and nearing 1million video plays per month later, bmetv.net will continue to lead with ground breaking changes to the way that the BME community can be reached and serviced. We will engage, inform and entertain anyone with a genuine interest in the fair treatment and portrayal of issues relevant to our diverse Black and minority ethnic communities. We remain dedicated to working with all individuals and organisations that share our aims now and into the future.